I saw a picture on Facebook today of the Starship Enterprise from the original series, but it was all made of Christmas lights. That got me thinking about comm badges. I consider myself to be a nerd, but I don’t have a Star Trek uniform or a comm badge, so perhaps I should either buy one, or turn in my nerd membership card. As I was browsing Google, it came to me. 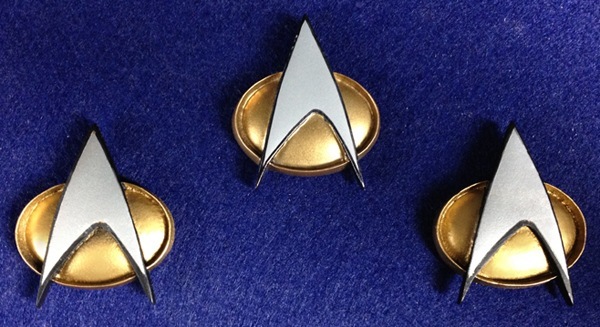 I wonder if they make a Bluetooth enabled comm badge that looks exactly like the Star Trek comm badge that actually works with your phone. Most phones now have voice recognition right? So I wonder if they have made a comm badge that when you tap it, you can say “Call Aunt Louise” and it places the call. Guess what… I found it! It’s not exactly what I had in mind, but it is a step in the right direction. 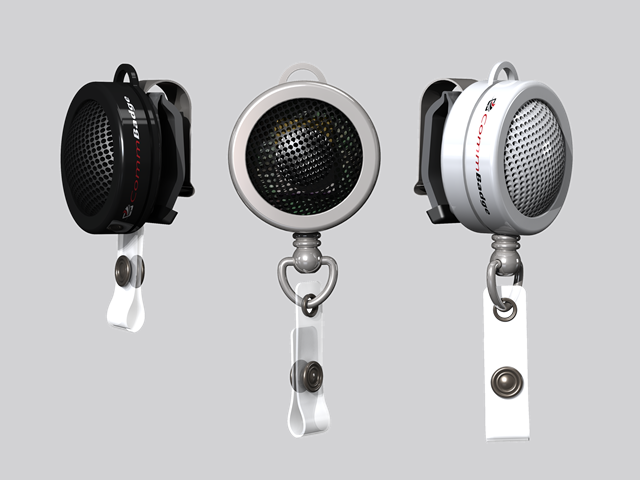 This is called “CommBadge” and it works with your iPhone and Android phone using BlueTooth technology. It isn’t in the shape I was hoping, but how can I expect them to legally use that licensed design without incurring lawsuits? This is a start up company, so they don’t actually sell these yet, but if they can get their funding with Indie GoGo, then they will be able to make and sell these and perhaps every person in the world will have one. They have 10 days as of this posting and have only raised $18k of $100k, so unless people help them out, we will probably never see this awesome design. May I convince you? They have several different models. One without anything that just has the regular features, then they have others that have a badge holder for work and one that has the retractable badge holder for perhaps those who need to swipe their badge. It all does the same thing whether you have the badge holder or not and that is almost exactly what you think the Star Trek comm badge would do. You press the button (the speaker) and you hear that iPhone Siri ding ding sound and you tell it what you want and it responds without you ever having to take your phone out of your pocket. Android has something similar to Siri, but they don’t show that in the video (below). You can tap the CommBadge and say “Call Sally” and it will dial her number and you and everyone else around you can hear Sally answer the phone and talk and you can talk back to her. I assume when the conversation is over you hang up by pressing the button again. What is more exciting is that you can chat with your phone just like you normally do. Like my partner likes to talk to his iPhone to text people. He will say “Text Mike” and then he will say what he wants to tell me and the words spell out on the screen. I assume it would do the same thing, without you having to look at it. Of course Siri’s voice recognition software isn’t exact every time so there might be some confusion when I receive the actual text, but I won’t know until this thing ever comes out. I am also assuming that you can get directions too, but I don’t think Siri will tell you to go here and turn there and get you to your destination just by using the CommBadge. I have tried it by looking at the phone and there weren’t any turn by turn directions from Siri, I had to actually look at the screen. But that would be cool if she gave you a heads up while you were driving without looking. Anyway, here’s the video, perhaps if you like it you might want to help their cause to get this thing started. I’m sure whatever you donate, you will get that product if and when they launch it. I think it’s awesome and I would help if I had the money, but it’s Christmas. How do they expect people to have money this month? I mean seriously lol. Tell me what you think. Would you use this? If I had an android phone, I certainly would.